There are places beyond the normal realms we see with our waking eyes. They are places of gargantuan trees of life, of gentle waters flowing through glowing caves, of glittering crystal and ancient bronce. They are kingdoms that softly whisper about the eternity we all carry within us. There are lands of song and story, of leyend and wisdom, of peace and gentle growth. Far beyond the reach of boats and trails, and always just a handspan away, always just beyond a veil, exists a place of islands and Gods, and heros and Fae. Welcome to Otherworld. OtherWorld also hosts the second Literary Festival, full of readings, region tours, writing prompts, stories, group discussions, and all things related to the power of the words! 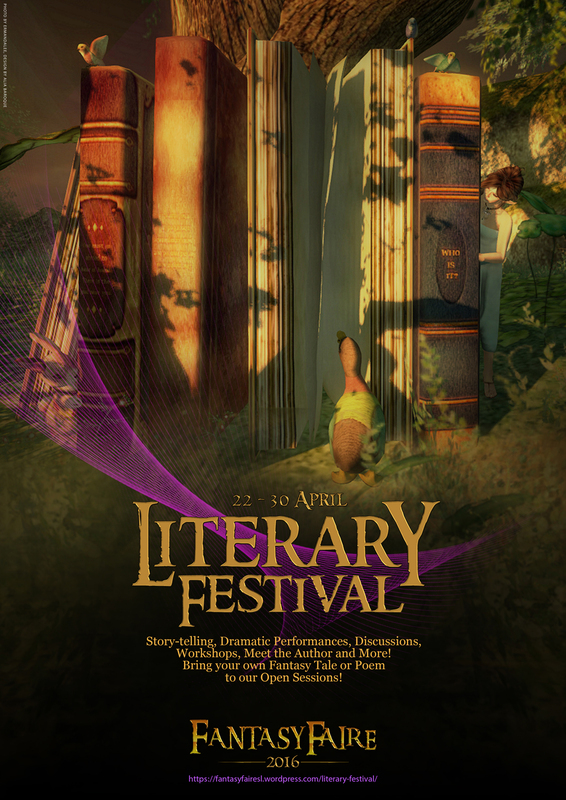 Literary Festival events take place on the Pavilion in OtherWorld! 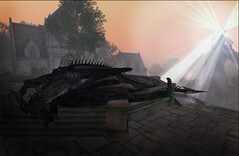 OtherWorld also features the headquarters of Fantasy Faire Radio, your soundtrack to the Fairelands! Visit FFR here!